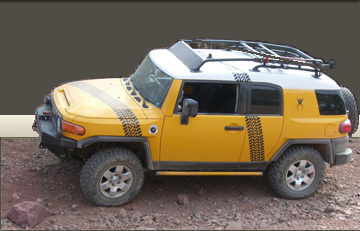 AZFJ › Forums › Arizona FJ Discussion › Expeditions, trail runs, or gatherings › Rice Peak Oct 8th. 1.0? 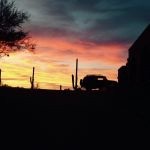 Forums › Arizona FJ Discussion › Expeditions, trail runs, or gatherings › Rice Peak Oct 8th. 1.0? Rice Peak Oct 8th. 1.0? Posted: Tue Oct 03, 2017 5:49 am Post subject: Rice Peak Oct 8th. 1.0? This will be an Over Mount Lemmon, down the backside and up Rice Peak run. WHAT: Run up RICE peak with Bonus Down the back of Mt. Lemmon to see how bad the BURRO fire hurt us, if you wish. When we get to Oracle, we can head RIGHT to Redington pass to make the grand Loop. Or you can split off and head home! WHEN: 10:00 - Sunday October 8th to be Phoenix friendly. LIMIT: we can only fit about 10 rigs up there at a time, but I'm not going to limit this. We can take turns. HOW: CB 16, 146.46 Simplex (Talkin channel is the EAARS system 147.160 ML with PL 141.3. FOOD: Bring some, we can eat on the summit, or be hungry till we get to the top and then you can buy some fudge at the general store. You can always turn around and get Cheetos & Redbull at Circle K in Oracle. Posted: Wed Oct 04, 2017 10:19 am Post subject: Re: Rice Peak Oct 8th. 1.0? Posted: Wed Oct 04, 2017 11:20 am Post subject: Re: Rice Peak Oct 8th. 1.0? Three other commitments throughout that day or I'd go. Anybody doing anything the next Sunday? PS - Going out to Reddington Pass some day next week to get off pavement. Any intel on the area about which we should be forewarned? Posted: Wed Oct 04, 2017 11:52 am Post subject: Re: Rice Peak Oct 8th. 1.0? Not that I've heard. The FS said that damage (sterilization) was less than 1% which hopefully means the drainages didn't get clogged. Posted: Wed Oct 04, 2017 4:35 pm Post subject: Re: Rice Peak Oct 8th. 1.0? I did this trail recently and I wouldn’t mind doing it again, but the in-laws are in town while the kid is out for fall break. Sorry, I wish I could. Posted: Fri Oct 06, 2017 11:39 am Post subject: Re: Rice Peak Oct 8th. 1.0? Hey there, is this run a thing or has it been canned? Posted: Fri Oct 06, 2017 12:04 pm Post subject: Re: Rice Peak Oct 8th. 1.0? You're the first to sign up. So likely a thing. Hope to get more interest. Posted: Fri Oct 06, 2017 2:28 pm Post subject: Re: Rice Peak Oct 8th. 1.0? Yep, I'm interested. Need to know about the trail: stock and noob friendly? Posted: Sat Oct 07, 2017 1:07 pm Post subject: Re: Rice Peak Oct 8th. 1.0? Posted: Sat Oct 07, 2017 6:58 pm Post subject: Re: Rice Peak Oct 8th. 1.0? Posted: Sat Oct 07, 2017 10:54 pm Post subject: Re: Rice Peak Oct 8th. 1.0? Sorry, not going to make it afterall. Posted: Sun Oct 08, 2017 7:42 pm Post subject: Re: Rice Peak Oct 8th. 1.0? Well, it's not a 1.0, but it's pretty tame all the way to the loose rock near the top. As previously revealed, the dead man's drop obstacle is no more. Literally obliterated and piled high on the side of the road where it used to be. There are some very small remnants but you wouldn't even know there was an obstacle there if not for the little tree that was your target on your Passenger side line. There was another rocky obstacle right at the exit to the river bottom, but that's gone too. . I still needed to use my locker to get up the loose stuff because I wasn't aired down. (Simulating stock as much as I could). Still made it though. So did Kiddman57, my partner in crime. All in all it took 2 hours to do the whole trail (Round trip). Posted: Tue Oct 10, 2017 2:58 pm Post subject: Re: Rice Peak Oct 8th. 1.0? Posted: Tue Oct 10, 2017 3:08 pm Post subject: Re: Rice Peak Oct 8th. 1.0? I put up some pictures on my Trail write up. Modified it from a moderate to Easy trail. (Except the last little bit, that's still a locker hoot). And where the obstacle lives now.